Line removal and surface preparation are now part of the extended services D.E. 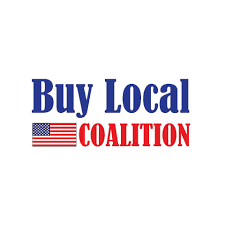 Gemmill Inc. can offer you. 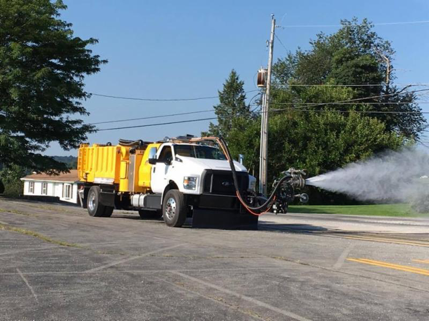 Hydroblasting machines are a technically proven water disbursement system with a capability of operating pressure up to 40,000 pounds per square inch, creating a very efficient process for line removal, pavement cleaning and surface preparation. Our new hydroblasting truck is equipped with a simultaneous vacuuming system to instantly extract majority of debris and paint being removed from the surface using no solvents or fumes. Its self-contained water recovery system makes for a one step process, and is environmentally friendly because it recycles the water while separating the removed debris. 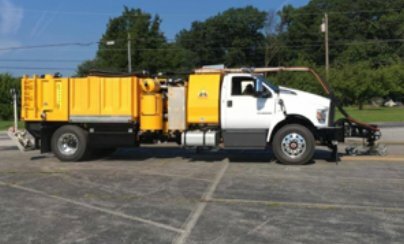 Line removal and surface preparation done by our hydroblasting truck is cost effective because it simultaneously and effectively removes the following applications: thermoplastic, epoxy, paint, highway long line and short line markings as well as runway and taxiway markings. 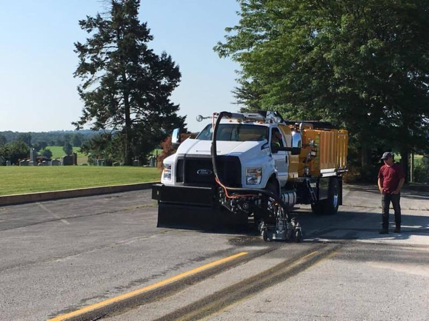 Surfaces cleaned with hydroblasting equipment are ready in a timely manner so we can keep your highway striping or parking lot projects on schedule. 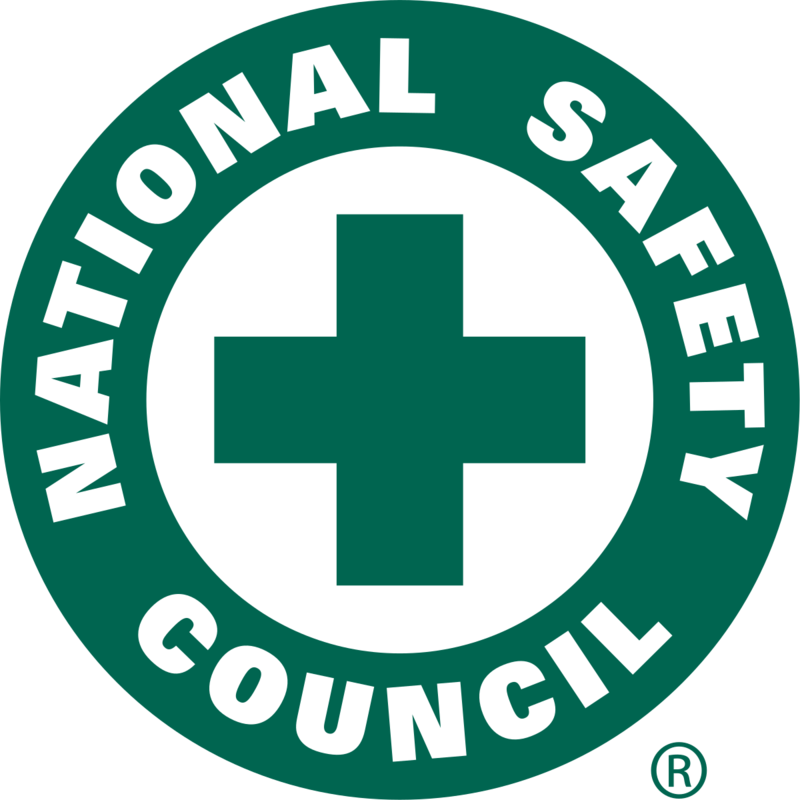 In addition to the hydroblasting services offered that we already mentioned, we also have the capabilities to remove runway rubber buildup, curing compound removal on concrete roadways and airport runway surfaces, road retexturing, and surface preparation.